Russia played Lithuania in a friendly in Lithuania on the 19th. 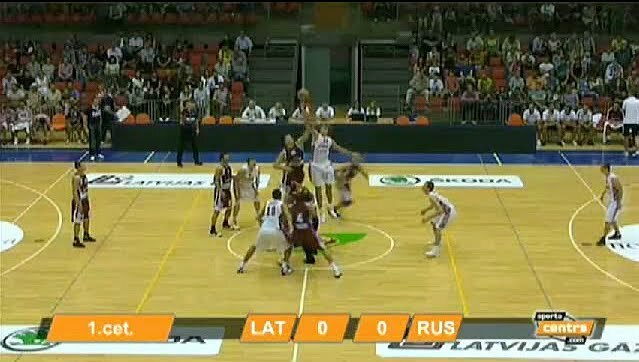 Backtracking a bit, Andrei Kirilenko was back to playing at the 4 after starting at the 5* in Russia’s last game against Latvia (FYI, he won the tip). The Latvian player apparently somersaulted in the air and then fell face-down on the ground, and Timofey Mozgov was kicked out of the game. Both coaches agreed later in the game to let him back in, but he wasn’t in for too long before aggravating a sprained ankle. Lithuania definitely had the most enthusiastic crowd I’ve seen so far (and by “enthusiastic,” I mean “they’re not shy with their vuvuzelas”). The din every time Russia had the ball was something else. Those things are a million times worse than the cowbells at Arco…which leads me to wonder if they’re banned at NBA arenas. Anyone? It was a close, back-and-forth first quarter; Lithuania led 29-25 at the end of 1. Lithuania extended its lead to 8 early in the quarter, but Russia was soon back in the game with AK picking off passes and back-to-back slams. The second, which made the crowd go “ooh,” was definitely the play of the game. AK also took two 3s, which is two too many, but Russia maintained possession on both misses and scored in both cases. At the end of the first half, Russia was the one with the 8-point lead. Early in the 4th, Russia fouled Lithuania on a made jumper. The Lithuanian player made the free throw and Lithuania deflected the ball after Russia’s inbounds pass and hit another jumper. It was a 5-point swing in a matter of seconds, and Russia’s lead was down to 5. Russia missed on its possession; Lithuania came back down and hit a 3. 2-point game with 8 minutes left. It was a pretty exciting finish, but in the end Russia prevailed 88-80. Can’t find a box score, but if my numbers are correct AK was on the bench for just 4:15 of the game (four 10-minute quarters) and got 45 seconds of rest in the first half. He tallied 13 points, 6 boards, 6 steals, 4 assists and 4 blocks. 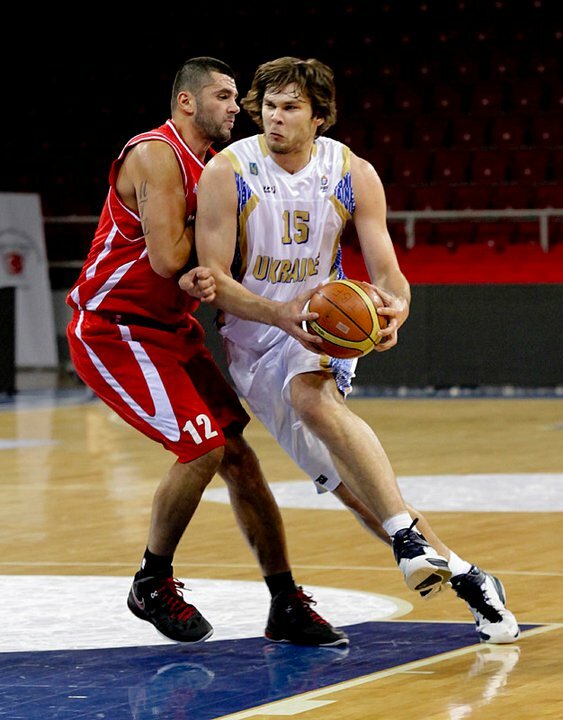 Ukraine, meanwhile, took “friendly” and “preparation” games to a whole ‘nother level when it played the Houston Rockets Lebanon. It was so friendly and so preparatory that they didn’t keep stats during the game. They did keep the score though, as Ukraine won 74-51. Coming up next…Turkish and Greek action.